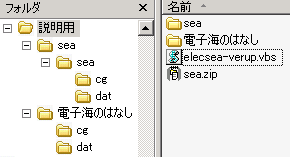 new_folder = "C:\Documents and Settings\Administrator\デスクトップ\green"
new_folder = "C:\Documents and Settings\Administrator\デスクトップ\sea"
Roxie2011/05/07 11:17That's raelly thinking out of the box. Thanks! $mecab = Mecab.new("")# surfaceのみ => "-O wakati"
print word + ", "
Jimbo2011/05/06 19:55Glad I've finally found soemhting I agree with!